Sycamore senior Jennifer Kuo (right) shakes Sycamore Dist. 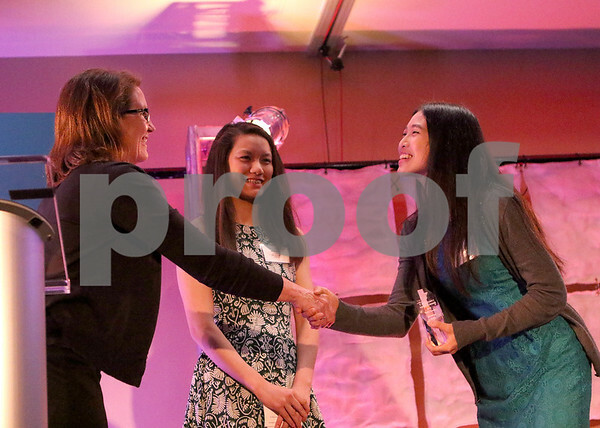 427 Superintendent and YMCA Board Vice President Kathy Countryman's hand while presenter DCST Swimmer Athena Ye stands on stage during the 2016 Y Community Awards Dinner at Faranda's in DeKalb on Thursday, May 12, 2016. Kuo won the YMCA Youth Leader Award.